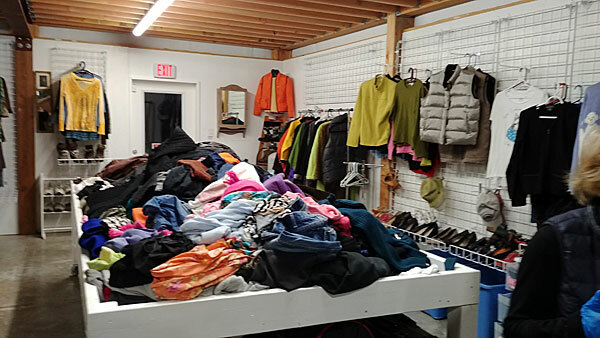 The Exchange accepts all clothing, bedding, and textiles in clean and useable condition. The accepted clothing and textiles are first made available to the Orcas Community on the Exchange shelves and clothing sort table and racks. Much of the handling of clothing and textiles is performed by Exchange Volunteers. After being given a chance at the Exchange the clothing and textiles are then re-bagged and held for transport off Island where it is sold by the pound to the Arc of Washington. The first load we hauled weighed in at just over 3,200 pounds.